Sardines are the small fish we often see prepared as food packed tightly in small flat cans. These small fish belong to the herring fish family. 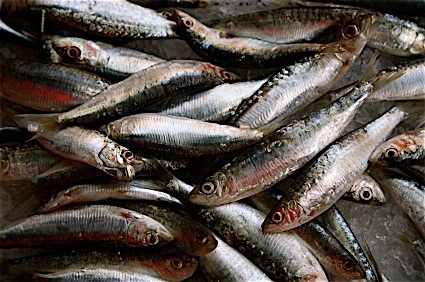 When full-grown, sardines may be 10 or more inches long and are called herring, pilchards, sprats and other names. They are caught while they are still very small. You sardines travel together in large groups called “schools.” Fishermen catch them in long nets, which are drawn in a circle around a large school that may contain many, many small sardines. At the sardine cannery, the fish are cleaned and dipped in salt brine and dried. Finally, they are cooked in boiling oil and packed tightly into the familiar flat sardine cans and soaked in olive oil to keep them moist. Many of the sardines caught are not canned at all, but made into fertilizer or feed for poultry. 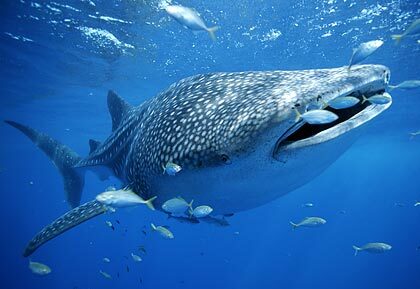 Remora are small fish that live in all tropical seas. Sometimes called shark suckers, these remarkable fish are known as the “hitchhikers” of the sea, for they attach themselves to larger fish for transportation about the ocean. The remora has an odd sucking disc on the top of its head that looks like the sole of a rubber shoe, with which the remora attaches itself to whales, sea turtles, sharks and large fish. When the bigger fish feeds, the remora eats the bits of food that falls from its host’s mouth. Sometimes several remoras will hitch a ride on the same fish. 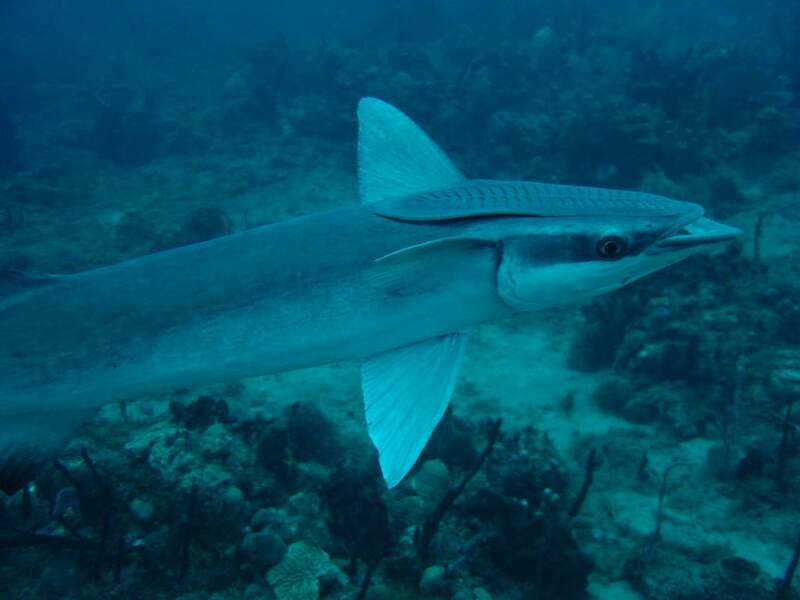 If the remora has hitchhiked into the area of a school of small fish, it detaches itself and swims after its own food. After it has eaten its fill, the remora looks for another large fish to hitch a ride to its next meal.